Following the Britpop icon’s Birthday last week, Getintothis’ Ellie Montgomery counts down the best of Jarvis Cocker and Pulp’s hidden gems. It seems all too common of late to use terms such as ‘icon’, ‘legend’ and ‘hero’ within music. 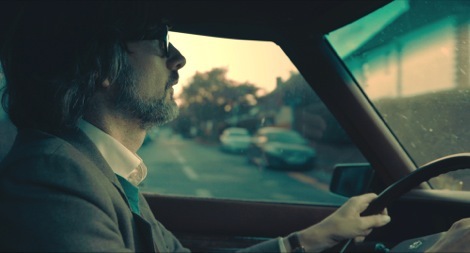 Yet Jarvis Cocker’s effortless style and unapologetically nonchalant persona is known and loved since the early 90s. Pulp as a band expel a delicious collision of rock, disco and occasionally surreal exotica which can only be achieved with a frontrunner like Jarvis. No Pulp show can be complete without the erratic movement of those impossibly long legs and that strangely sensual performance. Forever, Pulp and Jarvis Cocker will characterise the Britpop generation with a sense of paradoxically juvenile sophistication that remains unique to their music. Over the years, Jarvis has been revered for his often hilarious public appearances which have both simultaneously amused and bemused the nation. Most famously, at the 1996 BRIT Awards, Cocker was arrested after hijacking Michael Jackson’s performance with some comically bizarre gestures. The arrest was made even more amusing when Cocker hired comedian Bob Mortimer as his legal representation and the campaign ‘Justice for Jarvis’ later emerged. This act, like Cocker’s music, possess a sense of ethical authenticity; an ultimate dedication to the ideals of Britpop which are not distasteful or hypocritical. They are simply raw and gritty. In his own words, Cocker claimed that Jackson’s performance made him feel ‘ill because he was doing his Jesus act’. There is an underlying desire here to expose fakery and enlighten fans to the possible fraudulence of some of the biggest stars in music. Alternatively, the Pulp song Dishes ironically contains the lyrics ‘I am not Jesus though I have the same initials’… enough said Jarvis, enough said. Other antics by Cocker include falling out of a window from a failed Spiderman impression in an attempt to impress a girl. Even after ending up in a wheelchair, this did not stop him from performing and even claimed the incident had improved his musical ability. To imagine Britpop without considering some of Pulp’s seminal hits such as Common People, Disco 2000 and Babies seems an almost impossible task. There are, however, plenty of hidden treasures which have either been discarded as demos or simply overlooked in favour of their single releases. I spent a joyous afternoon riffling through Pulp’s back catalogue to find their ten best obscure tracks. Written as a response to the Labour Party asking for Cocker to support their campaign, the track highlights a clear desire to expose and criticise the shortcomings of the political establishment. 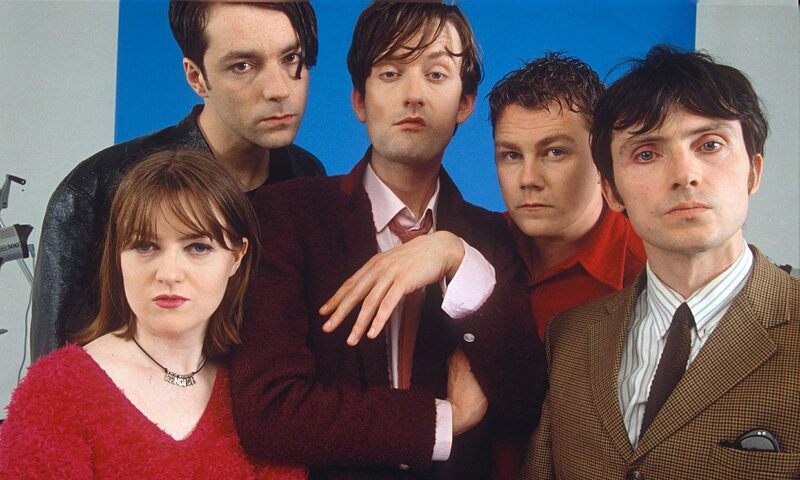 In true Jarvis style, the vocals beautifully mock New Labour’s failed attempts appear ‘hip’ and engaged with the youth of the Britpop generation. Complete with ‘sniffing’ sound effects, Cocaine Socialism unreservedly, and comically, gives a nod to drug use in a way which is not as prominent on Pulp’s mainstream tracks. Balancing on an extremely thin line of crudeness and intellectual flair, Cocker’s lyrics create a perfect equilibrium of literary vulgarity like no other artist. Paula is no exception. This previously unreleased demo possesses the enticing flair of sexual promiscuity which Pulp’s music offers so well. While the studio version of Death II is not particularly favourable, this live recording offers something uniquely special. The opening keyboards are switched for something slightly less futuristic and instead provide an atmosphere of infectiously captivating DIY disco. Complete with a quintessentially Jarvis-esque monologue in prelude to the song, it’s impossible to listen to this track without wishing you were in the crowd. Although almost twenty years old, this track possesses elements of modern artists such as Connan Mockasin and Wolf Alice. The sensuousness of its unusually electronic caress separates it from Pulp’s typical style. Shadowy and robotic vocals would make this almost unrecognisable as a Cocker track if it wasn’t for the presence of those perfectly flirtatious lyrics. One of Pulp’s more sultry tracks, the sluggish tempo and general melancholy makes it a vital song when you’re feeling in a mood to wallow in your own misery. The groaning vocals which saunter throughout demonstrate Pulp’s perfect ability to explore the very real experiences of love and loss. The tongue-in-cheek sleaze of P.T.A places this track firmly in the bracket of what Jarvis and Pulp do best. An enticing narrative is offered up which possesses both humour and depth to seduce both the listener and subject alike. 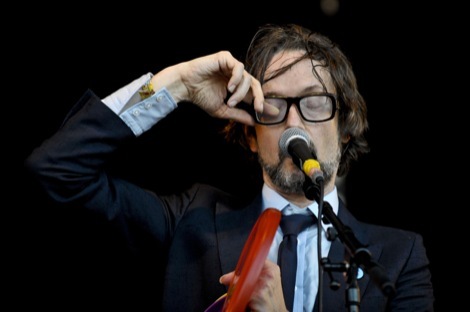 The gloriously dirty lyrics and their direction in relation to teenage naivety proves how effectively Jarvis negotiates that thin line between vulgarity, humour and literary prowess. In this cynical statement of monogamous pledges and middle class loathing, Jarvis delivers his own unique marriage vows. Featuring the backing of a crazed church organ, Pulp delivers their abhorrence of suburban normality in the only way they know how. The spoken word verses are refreshingly minimalistic as Pulp perfectly satirises the Modern Marriage. The song itself channels the most identifiable Jarvis Cocker lyrics; watchful, curious and attentive this is a song of gritty realism and the of the working class. Its insightful introspection into small northern towns is both beguiling and humorous. In what can only be described as an offering of space-age indie disco, this is a track impossible not to like. Pitted against lyrics depicting the dreariness of suburban UK, the funktastic beat seems all the more prominent.